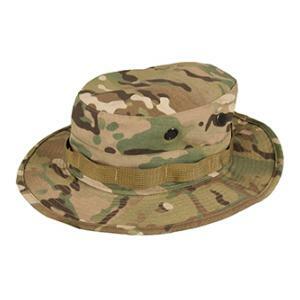 This boonie hat by Propper is made of 50% Nylon / 50% cotton rip-stop. It has screen side vents, branch loops and adjustable chin strap. This item is sewn to military specification MIL-H-44105B. US materials sewn overseas.